Have you heard? 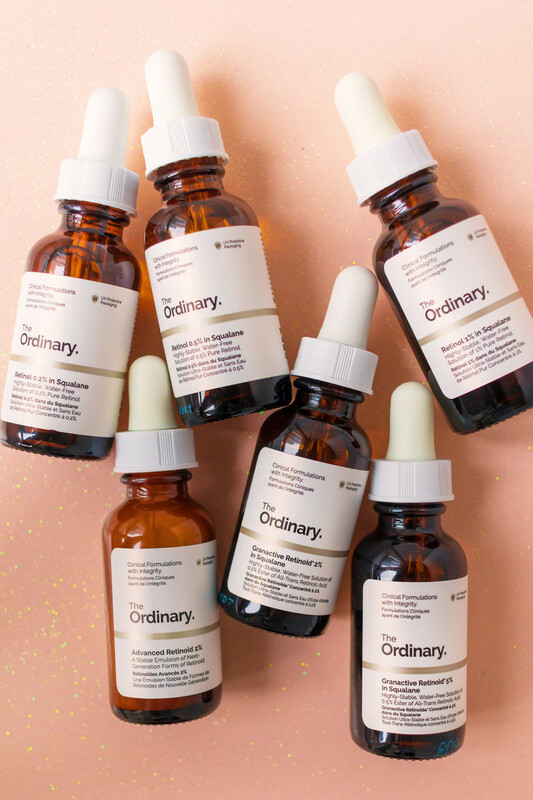 The Ordinary has released a bunch of new retinoids! I bought them all on the day they came out—so now, after a couple months of testing, I&apos;m finally ready to share my review. All but one are in a base of squalane, my favourite stable oil. Read more about squalane here. They&apos;re all silicone-free, alcohol-free and cruelty-free. There are two active ingredients to choose from, in varying strengths. The prices range from $5 to $14 (Canadian). 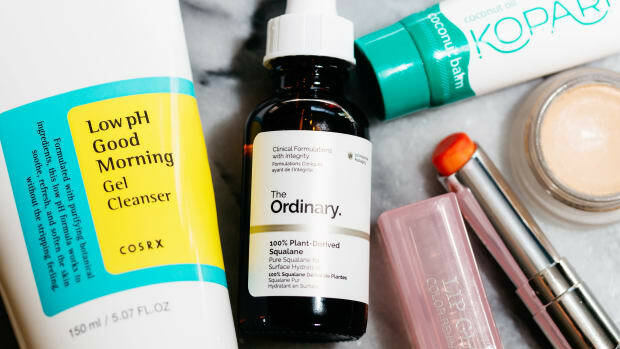 So far, the brand is only claiming that these products target signs of aging such as fine lines and sun damage—but they may help with acne as well. Below, how to decide which one is right for you. 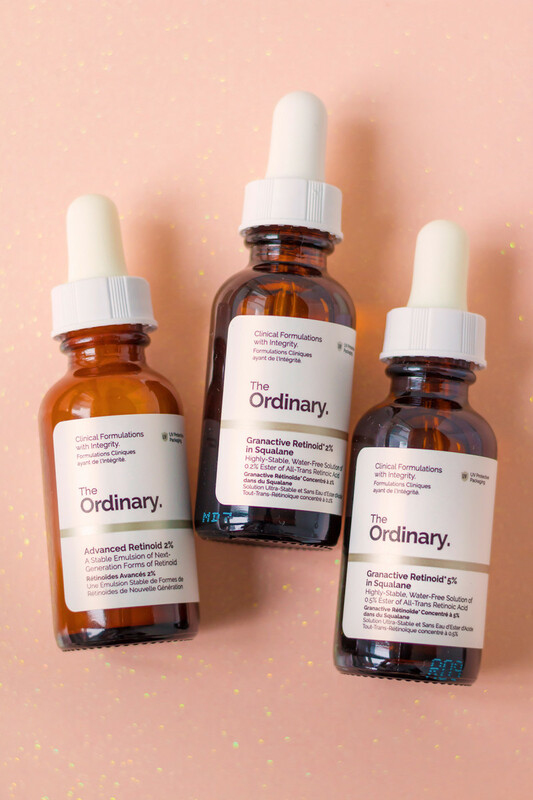 Of the six products in The Ordinary&apos;s retinoid range, three of them are based on a complex called "Granactive Retinoid." What exactly is Granactive Retinoid? It is a delivery system for the active ingredient hydroxypinacolone retinoate (HPR), which is a retinoic acid ester. Retinoic acid, also known as tretinoin or Retin-A, is the active form of vitamin A, which binds directly to the skin cells&apos; retinoid receptors. HPR is said to be similarly active, since it does the same thing (and does not need to be converted, like retinol does). However, this action MIGHT interfere with the body&apos;s uptake of vitamin A (a very important metabolic factor), which is the reason I avoid Retin-A. Unlike Retin-A and retinol, HPR is unique in that it produces little to no irritation. Just keep in mind that it is a new ingredient that is not as proven, as most of the research to date comes from its manufacturer. Right now, there isn&apos;t any way of knowing what percentage of retinoic acid or retinol the HPR is equivalent to. 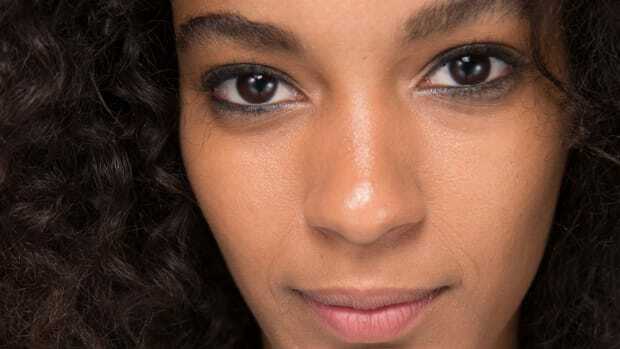 Dr. S. Manjula Jegasothy, a Miami-based dermatologist, told Refinery29: "It is well-known that retinoid esters do not have as much efficacy in smoothing the epidermis and growing collagen in the dermis as pure retinol." A moderate-strength retinoid with an oil texture. The least irritating option—it is said to produce ZERO irritation. Contains 0.2 percent of the active ingredient, HPR. Very stable, since the formula does not contain any water and does not require airless packaging to be effective. The shelf life is 12 months after being opened. While the feel and absorption rate of the oil is indistinguishable from pure squalane, the HPR imparts a slight yellow tint (which isn&apos;t visible on the skin, but may stain sheets if you use too much). This would be an ideal anti-aging treatment for the eye area, since it won&apos;t irritate the delicate skin there. This study found that 0.1 percent HPR was effective in treating mild to moderate acne, but in combination with other actives (retinol and papain). So, it&apos;s hard to pinpoint how much the HPR can do for acne. Ingredients: Squalane, C12-15 Alkyl Benzoate, Bisabolol, Dimethyl Isosorbide, Hydroxypinacolone Retinoate, Solanum Lycopersicum (Tomato) Fruit Extract, Simmondsia Chinensis (Jojoba) Seed Oil. A high-strength retinoid with an oil texture. Produces low to no irritation (I didn&apos;t experience any). Very stable, with a 12-month shelf life. Has a slight yellow tint (invisible on the skin). If you share my concerns about Retin-A, I think this would be a safer option, but probably not as safe as the retinols. 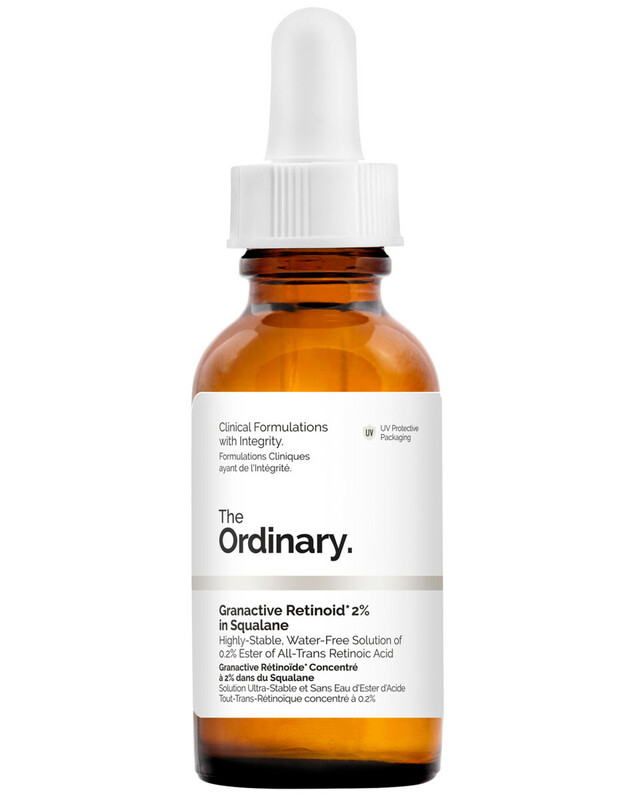 Not a new product—they just gave Advanced Retinoid 2% (originally reviewed here) a new name. A moderate-strength retinoid with a lightweight creamy serum texture (not an oil). Although squalane oil is usually not comedogenic, if you find it breaks you out, then you MIGHT tolerate this formula better. Some people get acne from cetearyl alcohol and carrageenan, though. Has a low risk of irritation. Contains 0.2 percent HPR, plus an encapsulated retinol. They don&apos;t disclose the concentration of retinol, but this would mean it is slightly stronger than the Granactive Retinoid 2% in Squalane. Since the formula does contain water, it would not be as stable as the oils. However, they still promise a 12-month shelf life. I&apos;m no longer recommending this product since I feel the other retinoid options are better, and I prefer to avoid ethyl linoleate (a linoleic acid ester that would be prone to oxidation). 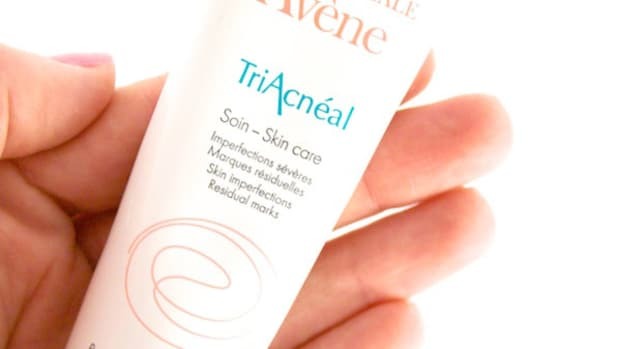 Ingredients: Aqua (Water), Glycerin, Ethyl Linoleate, Propanediol, Caprylic/Capric Triglyceride, Dimethyl Isosorbide, Cetearyl Isononanoate, Bisabolol, Hydroxypinacolone Retinoate, Retinol, Tasmannia Lanceolata Fruit/Leaf Extract, Inulin Lauryl Carbamate, Glyceryl Stearate, Ceteareth-12, Ceteareth-20, Cetearyl Alcohol, Carrageenan, Xanthan gum, Acacia Senegal Gum, Cetyl Palmitate, Sucrose Laurate, Polysorbate 20, Isoceteth-20, Behentrimonium Chloride, Trisodium Ethylenediamine Disuccinate, Disodium EDTA, Dehydroacetic Acid, Benzoic Acid, Ethylhexylglycerin, Phenoxyethanol, Chlorphenesin. 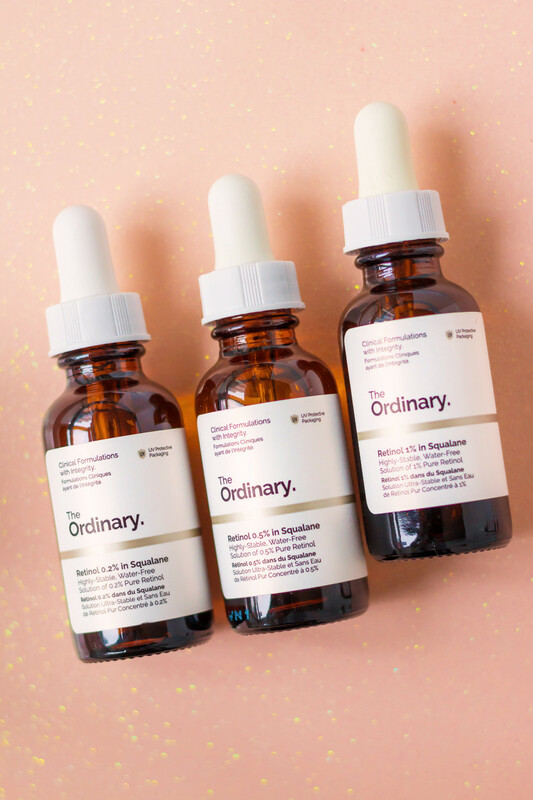 The other three products in The Ordinary&apos;s retinoid range contain retinol. Unlike HPR, retinol has to be converted by the body in order to be of use. First, it is metabolized into retinaldehyde, and then finally into retinoic acid (active vitamin A). Because of this conversion process, retinol is typically about 20 times weaker than retinoic acid. So I don&apos;t have the same safety concerns about it as I do with Retin-A. However, just because it&apos;s weaker doesn&apos;t mean retinol won&apos;t also give you results. "Biochemically, retinoids and retinol do exactly the same thing," Dr. Dendy Engelman, a New York City-based dermatologist, told NewBeauty. "It may just take longer to see results with retinol-based products." Retinol is also backed up by decades of studies. So its benefits are much more proven than HPR&apos;s.
The downside is potential irritation. 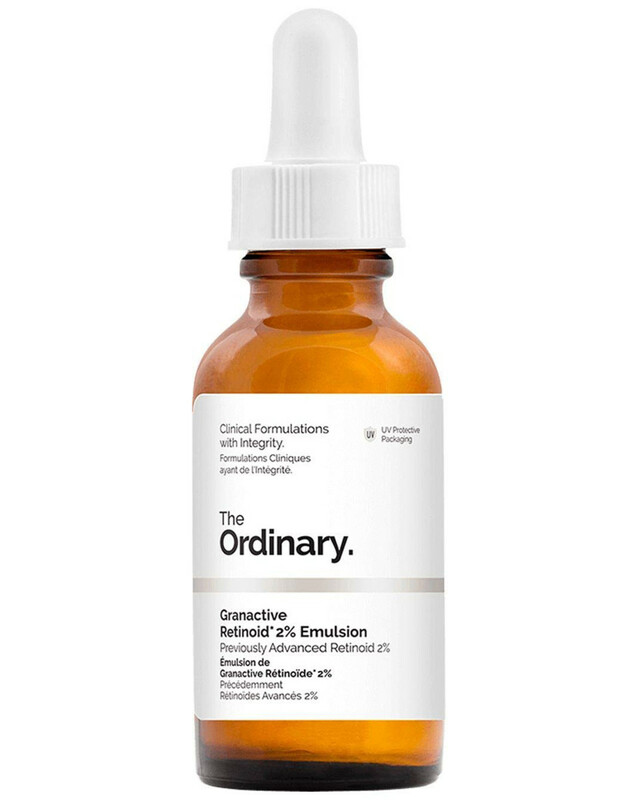 The Ordinary even goes as far as to recommend AGAINST retinol for that reason (despite selling it themselves!). But I would not let that scare you off. As I note below, irritation is not a given for everyone who uses retinol. It&apos;s all about going low and slow. If you start at the lowest dose, and slowly work your way up in terms of strength and the frequency of applications (and buffering if needed), then you may not experience any irritation at all. I haven&apos;t! A low-strength retinol with an oil texture. Moderately irritating (although I didn&apos;t experience any). Contains 0.2 percent retinol, equivalent to about 0.01 percent retinoic acid. Start at this strength if you are new to retinol, and then work your way up to the 0.5%. Ingredients: Squalane, Caprylic/Capric Triglyceride, Retinol, Solanum Lycopersicum (Tomato) Fruit Extract, Simmondsia Chinensis (Jojoba) Seed Oil, BHT. A moderate-strength retinol with an oil texture. Said to be highly irritating (but this was not true for me). Contains 0.5 percent retinol, equivalent to 0.025 percent retinoic acid. This study shows that 0.025 percent retinoic acid is enough to treat photoaged skin. 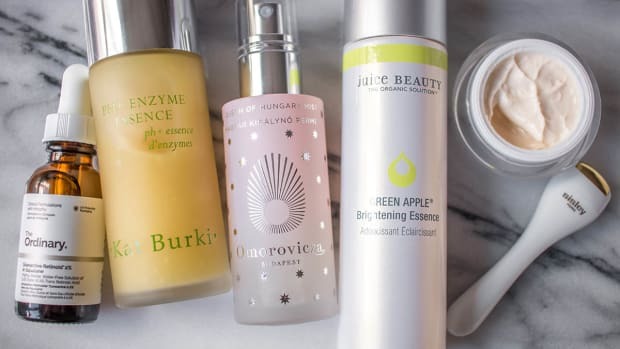 If your skin is already used to retinols, you could start with this formula and either stay at this level (since it has proven effects) or work up to 1%. A high-strength retinol with an oil texture. Supposed to cause "very high" irritation, but so far I&apos;ve only experienced some minor dryness, probably because I worked my way up to this strength (and my skin was already used to active ingredients from my daily use of BHAs). Contains one percent retinol, equivalent to about 0.05 percent retinoic acid. This study shows that 0.05 percent retinoic acid improves sun damage and encourages collagen formation. Unless you know your skin can handle this much retinol, I suggest starting with the 0.5% before this one. This product (which I didn&apos;t recommend anyway) is being discontinued. 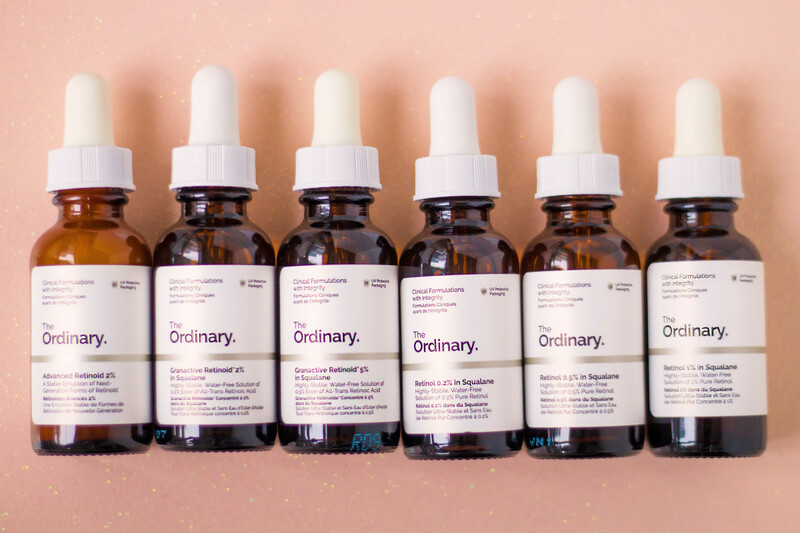 The Ordinary&apos;s complete range of retinoids. To sum up, I&apos;m VERY impressed with The Ordinary&apos;s new range of retinoids! The ingredients are super-clean, and they&apos;re by far the most affordable retinoids on the market. I don&apos;t think you can go wrong with any of the new products, which I would consider preferable to Retin-A due to these concerns. As for which active ingredient is "better" or "stronger," it&apos;s hard to say. There just isn&apos;t any data that compares the strength of HPR versus retinol. 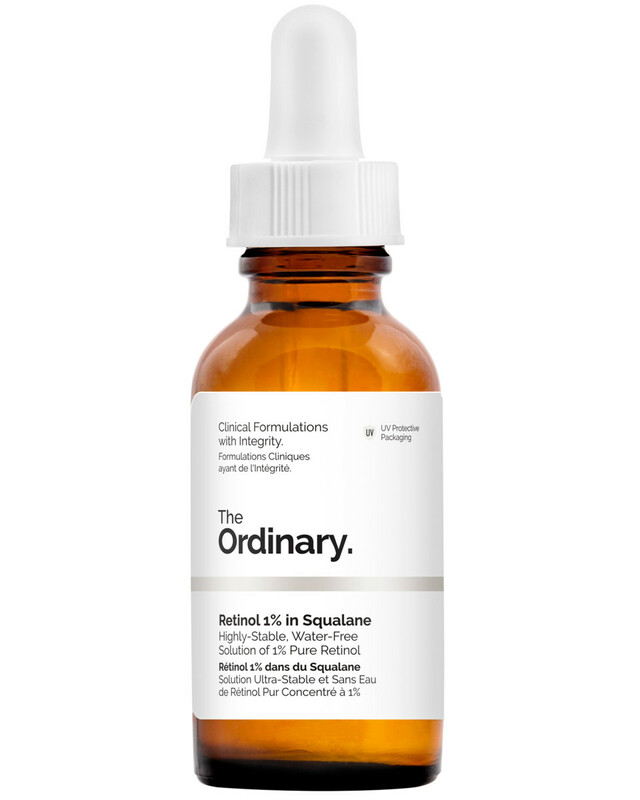 Personally, what I am doing is using the Retinol 0.5% or 1% in Squalane all over my face, except for the eye area, where I&apos;m applying the Granactive Retinoid 2%. The latter is great because it&apos;s one of the only anti-aging products I&apos;ve been able to tolerate around my eyes! The last thing I want to address is how these formulas compare to my two other retinoid recommendations, Resurface by Shani Darden Retinol Reform (reviewed here) and CyberDerm Retin+Erase (initial review here). Retinol Reform contains retinyl palmitate, a retinol ester that is weaker than retinol... but no word yet on how strong it is compared to HPR. I think it&apos;s best for treating the first signs of aging in acne-prone skin—I got really good results from this product! Retin+Erase contains the maximum one percent HPR, so it&apos;s five times stronger than the strongest granactive retinoid from The Ordinary! Consider this one if you&apos;re looking to treat signs of aging but get too much irritation from retinol. Both of these products are also great choices if your skin can&apos;t tolerate oils. 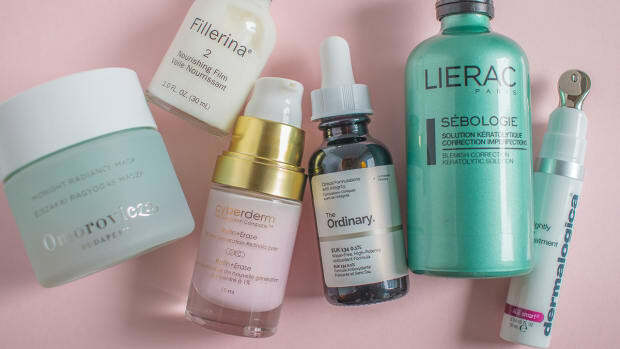 I hope this has been helpful to get you up to speed on the best retinoid options currently available. I&apos;d love to hear what you think! 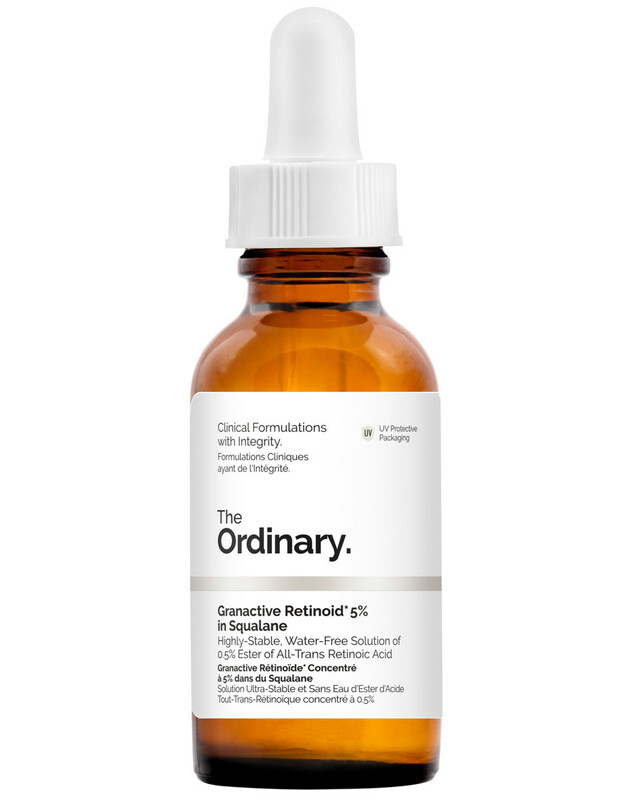 Have you tried The Ordinary&apos;s retinoids yet?